Less than 0.5% of the respondents said it was “poor,” according to the survey conducted through direct interviews with 13,980 tourists speaking six different languages, and questionnaires sent to 1,000 travel companies and 63 tourism departments. The survey also found that 32.98% of foreign tourists returned to the country at least once. Of the return tourists, 18.1% came back for the second time, and nearly 5.8% for the third time. While the tourism administration, often known as VNAT, did not provide comparable data, an EU-funded survey among English-speaking tourists last year pegged the return rate at 11.2%. 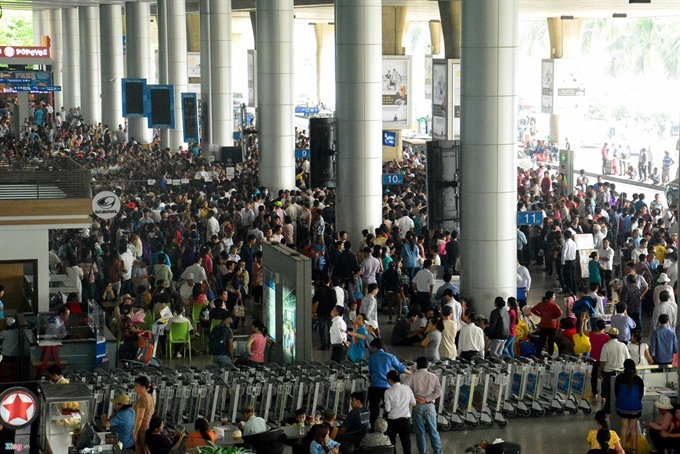 For comparison, around 55% of tourists in Thailand are reportedly return visitors. 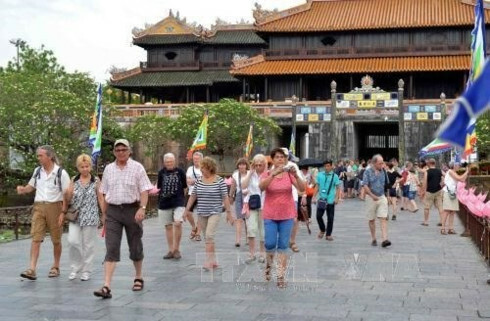 With its latest survey, VNAT also found that foreign tourists spent an average of 9.73 days in Vietnam. Their daily expenditure was estimated at nearly US$126, of which more than 33.1% was spent on accommodation and over 23.7% on food and beverages. The rest was spent on gifts, entertainment and others. In 2013, a similar but smaller-scaled survey by the General Statistics Office found that the average length of foreign tourists’ stay was 11.3 days and the daily expenditure was $95.9 on average. 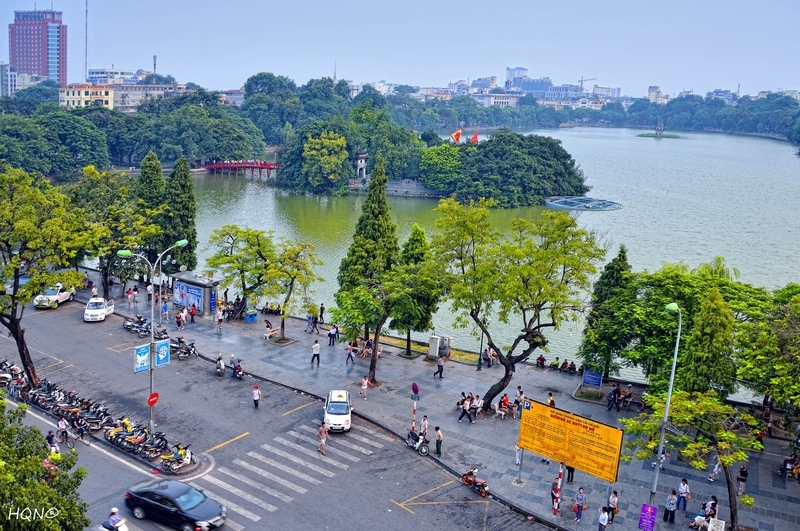 A travel and tourism competitiveness report released by the World Economic Forum early this month found that Vietnam ranked 75th out of 141 polled destinations, up five places from 2013. A country’s performance depended on its scores in a variety of fields like policy and infrastructure. Vietnam scored worst in infrastructure, a category which includes tourist service, with 2.93 points out of 7. Officials data showed that the country received 7.87 million international arrivals last year, including 4.76 million leisure travelers. 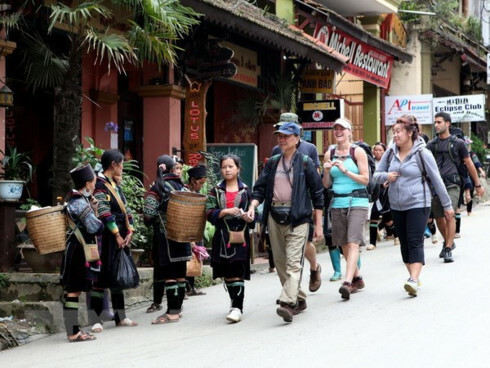 According to VNAT estimates, 690,440 international tourists traveled to Vietnam last April, an 11% increase from March, but down 7.4% compared to April 2014.